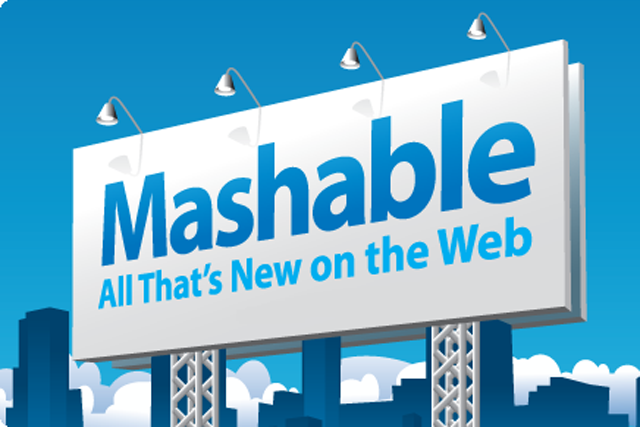 Mashable, the tech and business site, is set to launch in India through a publishing partnership with India.com. The partnership brings Mashable together with India.com, which is a joint venture between Penske Media Corporation (PMC) and Zee Entertainment Enterprises Ltd.
India.com currently posts original content for a range of destinations, reaching more than 45 million unique visitors per month. Pete Cashmore, founder and chief executive of Mashable, said: "As Mashable continues to grow in parallel with the expansion of digital, entering into India was an obvious next-step..
"Digital and technology continue to have a profound impact on the world's largest democracy and Mashable will look to chronicle this transformation in unique ways that truly resonate with the Connected Generation." A dedicated editorial team, based in Mumbai and New Delhi will be sought over the coming months to create a social media presence and a dedicated site for Mashable India. Punit Goenka, managing director and chief executive of Zee Entertainment Enterprises Ltd, said: "We believe that the combination of Mashable and India.com will provide a unique content destination curated for India's fast growing online generation. "We look forward to working with the Mashable team around the world to create a truly world-class and innovative site at Mashable India." The addition of Mashable India continues Mashable’s global expansion ambitions. The company, which is headquartered in the US, opened an office in the UK last year and added reporters in Australia, while also building a global network of journalists. Approximately half of Mashable’s 42 million monthly unique visitors come from outside the US, with India being a top-five market for the company.